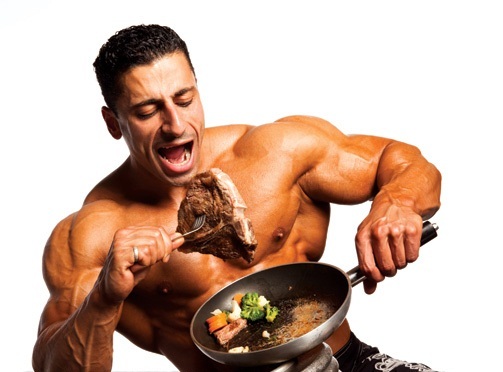 How Much Protein To Gain Muscle? I’m sure you’ve heard this before, but let me repeat myself to make sure I’m perfectly clear: Consuming a high protein diet is very IMPORTANT if you want to build a significant amount of muscle mass! But since there is so much confusion as to how much protein is necessary if you want to gain muscle, I’ve decided to go ahead and write this article to clear things up. 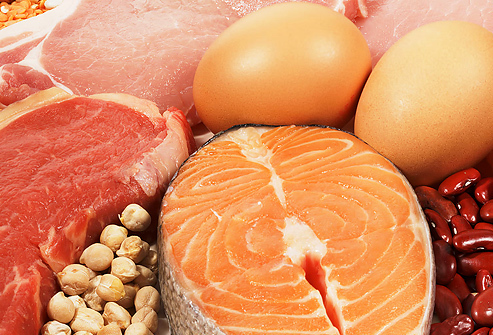 Taking advice from the typical Average Joe or even your doctor is not necessarily going to be the best approach when it comes to determining your protein needs. If you’re a bodybuilder, you’re naturally going to need more, since your muscles require additional protein to rebuild broken down muscle tissue and grow back bigger and stronger. The first two things you need to figure out to use this equation correctly are your total body weight and your body fat percentage. Although there are various methods for determining your body fat percentage, I’ve found that the most effective way is to simply buy a pair of cheap skin fold calipers. Once you’ve purchased your skin fold calipers, you’ll want to take measurements in three areas – your mid-section, the mid-section of your quads and your chest. Once you’ve measured these areas, you can enter your data into this equation. So now that you know your body fat percentage, you can simply multiply this number by your total body weight to figure out how much body fat you’re carrying. To find your lean body weight, simply subtract this number from your total body weight. Once you’ve figured out that number (kg), you can take it and multiply it by 2.75 to determine exactly how much protein you’ll need each day to pack on lean mass. Let’s say a man weighs 160lbs and has a body fat percentage of around 15%. So our 160lb man at 15% body fat would require about 170 grams of protein each day to gain muscle. Despite all of the confusion many people make it out to be, determining your daily protein intake is not as difficult as you may think. I’m a big fan of the low carbohydrate diet when trying to pack on muscle, which easily allows for bodybuilders to reach this number. For maximum muscle growth, combine this information with the law of progressive overload during training and make sure you’re getting plenty of dietary fat – since fat is important for anabolic hormone production. Until next time, stay ripped and muscular!